When we started Lansinoh's website redesign back in April 2013, Lansinoh's mission of helping breastfeeding moms was (and remains) near to my heart. As the mother of an eleven-month-old, I was already a huge fan of the brand. But, just as importantly, our whole team was excited about Lansinoh's inspiring story of entrepreneurship and growth into an entire family of brands needing to unify and modernize its web presence. The inspiring story? Lansinoh was founded twenty-eight years ago by a new mom in need of all-natural, alcohol-free lanolin for breast soreness. Unable to find any on the market, she made her own, coined the term "Lansinoh," and the rest is breastfeeding history! Since then, the company has grown to hold 78% of the market share in lanolin, and over 55% of the market share in breastfeeding accessories. When they approached us, Lansinoh had also recently acquired two additional brands—mOmma and Earth Friendly Baby—and were looking to combine these sites with their additional Lansinoh sites: Lansinoh, Lansinoh Store, and Lansinoh Professional. We set out to bring all brand sites under the Lansinoh.com umbrella and shape their website into one cohesive and engaging experience. All of our UX and Design decisions were made with the consumer and product in mind. Our research showed that users came to Lansinoh with a very specific problem or question, and they wanted to get to Lansinoh's product information pages quickly. We worked to define the target users and then offer solutions in the way of products. Are you having trouble breastfeeding? Headed back to work and need to determine which pump is right for you? Is your toddler starting solid foods? Do you want you baby to use organic toiletries? Moms and dads come to Lansinoh not just for great product information, but also for reliable guidance and advice. We didn't want to feature perfect parents with perfect children in perfect situations. Instead, we wanted to show that Lansinoh understands the concerns and decisions that real parents face. So, with that in mind, we decided to make our design soft, approachable, and very real. We soon discovered, though, that stock images reflecting the true variety of life with young kids were just too few and far between. Our solution? Setting up a custom photo shoot to capture all those moments—of emotion, humor, and, yes, chaos—that any new mom or dad will instantly recognize. Our research showed that almost 50% of users come to Lansinoh.com from a mobile device. No doubt, these are moms and dads multi-tasking with a baby in one hand and searching for information or products with the other. In order to service this large group of users, we knew that the content had to remain rich and informative across all devices. Because Lansinoh is the leader in breastfeeding accessories, their professionals relationships are just as strong as their consumer connections. OBs, hospital providers, nurses, and Certified Lactation Consultants work closely with Lansinoh, and we needed to speak directly to them as well as to new parents. So, we gave Lansinoh the ability to target two very different audience groups with one site. Lansinoh’s consumer and professional sections have unique messaging, images, articles, resources targeted to their respective audiences. In the past few years, our industry has seen a significant movement away from simply pushing general information to all of consumers. More companies go beyond targeted messaging to actually engage their consumers in conversations. Lansinoh’s new site offers consumers the very best resources, information, and products related to breastfeeding, while also engaging them in a conversation. Have a breastfeeding question? 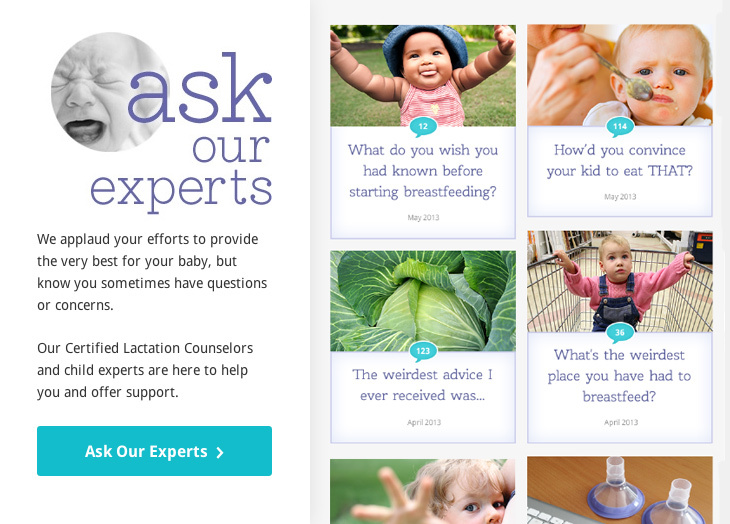 Submit a question to Lansinoh’s two certified Lactation Counselors and one of them (or both) will respond right on the site. Have a crazy/funny/uplifting story you want to share with other mothers? Tell your story on the community page. Want to leave feedback on a product? 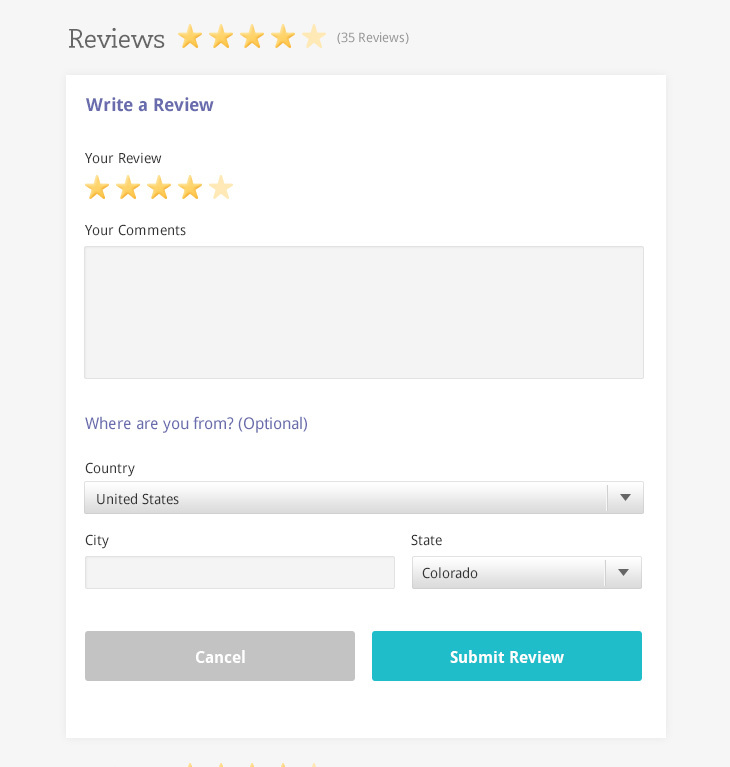 Submit a review on the site. By using ExpressionEngine (EE) as its content management system, Lansinoh has control over the site, and can easily keep content fresh and relevant. Lansinoh's team can edit content, add new products, update special offers, publish new articles and videos, and connect with consumers through their Ask Our Experts and Community pages. Additionally, we built the ecommerce section of Lansinoh.com to scale as Lansinoh’s line of products available online grows. 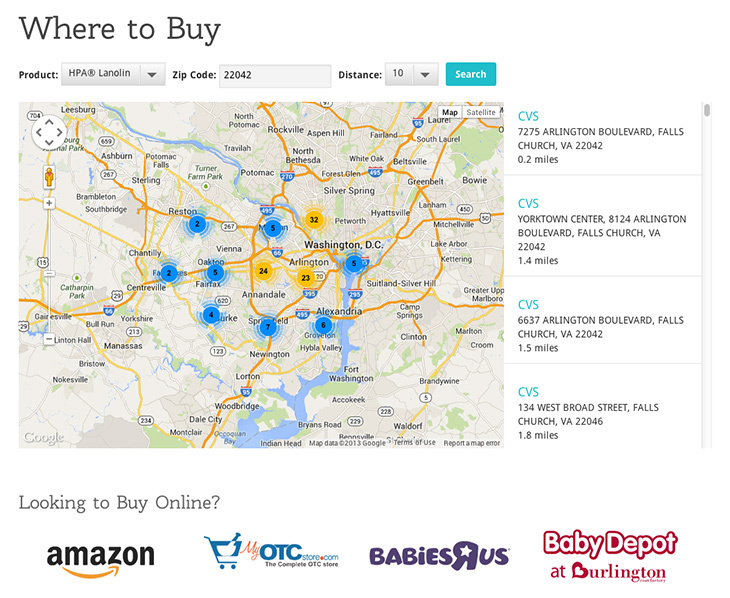 Consumers can also search for products available in nearby stores via our store finder. This was anything but a typical EE project. For even more insight into how we did it, check out our Case Story. The unique challenges and great team at Lansinoh provided a wonderful working relationship. 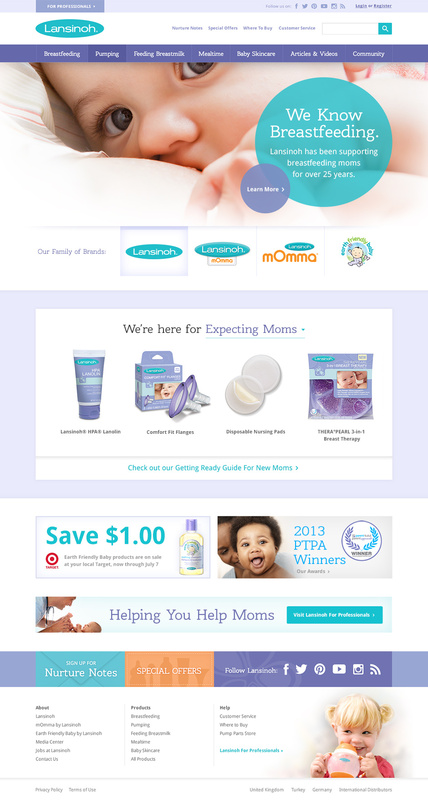 We're proud to help new moms get the support and information they need, and we're thrilled to share Lansinoh.com.